Ooooh the NutFull has come out with a new product! 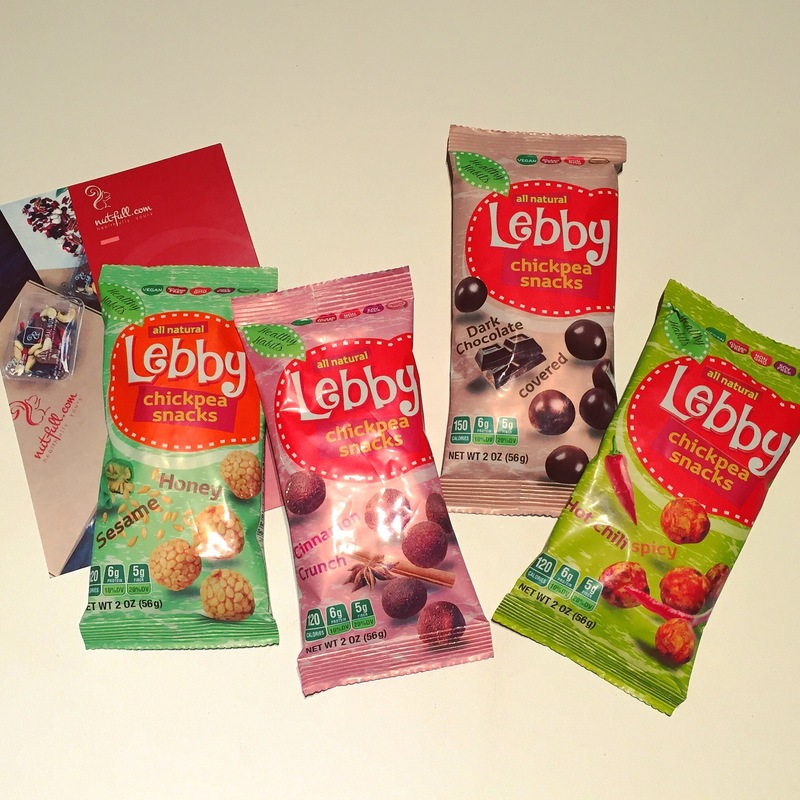 Keeping your life nutty, they now have a new line of products; Lebby Chickpea Snacks! Yummy flavours too – we got dark chocolate, honey seasame, cinnamon crunch and hot chili spicy. These treats are gluten free, vegan and all natural. Benefits of chickpeas you ask? The NutFull box will add years to your life, nuts and dried fruits are full of vitamins, antioxidants, minerals, protein, fiber and healthy fats and recommended to eat a handful at least 4 times a week. Using an algorithm they create different and balanced snack mixes each week. They use high quality nuts and dried fruits, no chemicals or preservatives only all natural, unsalted, unsweetened ingredients. The options are the Heart Health Snack Mix with 50% Nuts and Seeds and 50% Dried Fruits, the Weight Loss Snack Mix with 80% Nuts and Seeds and 20% Dried Fruits or the Digestive Health Snacks with 80% Dried Fruits and 20% Nuts and Seeds.